شکریه, محمود مهرداد, زین الدینی, افشین. (1395). پیش‌بینی تحلیلی مود اول نرخ رهایی انرژی کرنشی در شروع رشد ترک در نانوکامپوزیت‌های پلیمری. علوم و فناوری کامپوزیت, 3(1), 1-10. محمود مهرداد شکریه; افشین زین الدینی. "پیش‌بینی تحلیلی مود اول نرخ رهایی انرژی کرنشی در شروع رشد ترک در نانوکامپوزیت‌های پلیمری". علوم و فناوری کامپوزیت, 3, 1, 1395, 1-10. شکریه, محمود مهرداد, زین الدینی, افشین. (1395). 'پیش‌بینی تحلیلی مود اول نرخ رهایی انرژی کرنشی در شروع رشد ترک در نانوکامپوزیت‌های پلیمری', علوم و فناوری کامپوزیت, 3(1), pp. 1-10. شکریه, محمود مهرداد, زین الدینی, افشین. پیش‌بینی تحلیلی مود اول نرخ رهایی انرژی کرنشی در شروع رشد ترک در نانوکامپوزیت‌های پلیمری. علوم و فناوری کامپوزیت, 1395; 3(1): 1-10. در این مقاله، اثر نانولوله‌های کربنی بر مقدار مود اول نرخ رهایی انرژی کرنشی در شروع رشد ترک در نانوکامپوزیت‌های پایه اپوکسی به‌صورت تحلیلی مطالعه شد. در این مدل تحلیلی، اثر وجود پدیده جدایش نانولوله‌های کربنی از رزین پیرامون آن در ناحیه نزدیک به نوک ترک به‌عنوان یکی از عوامل افزایش نرخ رهایی انرژی کرنشی در نانوکامپوزیت نسبت به رزین خالص با استفاده از یک جزء حجمی معرف مطالعه شد. جز معرف حجمی مفروض برای نانولوله‌های کربنی و رزین پیرامون آن با وجود فاز میانی در نظر گرفته شد. برای تخمین خواص مکانیکی فازمیانی، ضخامت آن از مقادیر گزارش شده در مراجع استفاده شد. در نهایت مدلی برای افزایش نرخ رهایی انرژی کرنشی نانوکامپوزیت، براساس خواص مکانیکی و پارامترهای هندسی نانولوله‌های کربنی و رزین خالص معرفی گردید. لازم بذکر است که احتمال افزایش نرخ رهایی انرژی کرنشی نانوکامپوزیت نسبت به پلیمر خالص، با استفاده از ارتباط بین مقیاس‌های‌ ماکرو، میکرو و نانو مورد بررسی قرار گرفت. برای اعتبارسنجی مدل تحلیلی ارائه شده، نتایج به‌دست آمده از روابط تحلیلی با نتایج مطالعات تجربی سایر محققین مقایسه شد. نتایج نشان دادند که مدل ارائه شده با خطای قابل قبولی، توانایی پیش‌بینی مقدار مود اول نرخ رهایی انرژی کرنشی نانوکامپوزیت‌های پایه اپوکسی تقویت شده با نانولوله‌های کربنی تک و چندجداره را داراست. In this paper, the effect of carbon nanotubes on mode I strain energy release rate at crack growth initiation of epoxy-based nanocomposites was studied analytically. In this theoretical model, effect of carbon nanotubes debonding from its surrounding resin at the crack tip was postulated as one of the causes of increasing of the strain energy release rate of nanocomposites in comparison with the pure resin. Furthermore, a representative volume element was considered at the nanoscale. The assumed representative volume element contains carbon nanotubes, surrounding resin and the interphase. The available mechanical properties and the thickness of the interphase in the literature were used. Finally, a model for increasing the strain energy release rate of nanocomposites due to presence of carbon nanotubes was introduced based on mechanical properties and geometric parameters of carbon nanotubes and resin. It must be noted that enhancement of strain energy release rate in comparison with the pure polymer was investigated by correlation between nano, micro and macro-scales. To validate the proposed analytical model, results were compared with other experimental results available in the literature. The results show that the present model has a reasonable error and is able to model the effect of single-wall and multi-wall carbon nanotubes on nanocomposites strain energy release rate. Ritchie, R., “Mechanisms of Fatigue Crack Propagation in Metals, Ceramics and Composites: Role of Crack Tip Shielding,” Materials Science and Engineering A, Vol. 103, pp. 15–28, 1988. Kunz-Douglass, S. Beaumont, P. W. R. and Ashby, M. F., “A Model for the Toughness of Epoxy-Rubber Particulate Composites,” Journal of Materials Science, Vol. 15, No. 5, pp. 1109–1123, 1980. Quaresimin, M., Salviato, M., and Zappalorto, M., “A Multi-scale and Multi-Mechanism Approach for the Fracture Toughness Assessment of Polymer Nanocomposites,” Composites Science and Technology, Vol. 91, pp. 16–21, 2014. Salviato, M., Zappalorto, M., and Quaresimin, M., “Plastic Shear Bands and Fracture Toughness Improvements of Nanoparticle Filled Polymers: A Multiscale Analytical Model,” Composites: Part A, Vol. 48, pp. 144–152, 2013. Zappalorto, M., Salviato, M., and Quaresimin, M., “A Multiscale Model to Describe Nanocomposite Fracture Toughness Enhancement by the Plastic Yielding of Nanovoids,” Composites Science and Technology, Vol. 72, pp. 1683–91, 2012. Hsieh, T. H., Kinloch, A. J., Masania, K., Sohn Lee, J., Taylor, A. C., and Springer, S., “The Toughness of Epoxy Polymers and Pibre Composites Modified with Rubber Microparticles and Silica Nanoparticles,” Journal of Materials Science, Vol. 45, pp. 1193–210, 2010. Shadlou, S., Alishahi, E., and Ayatollahi, M.R., “Fracture Behavior of Epoxy Nanocomposites Reinforced with Different Carbon Nano-Reinforcements,” Composite Structures, Vol. 95, pp. 577–581, 2013. Ayatollahi M. R., Shadlou S., and Shokrieh M. M., “Mixed Mode Brittle Fracture in Epoxy/Multi-Walled Carbon Nanotube Nanocomposites, Engineering Fracture Mechanics,” Vol. 78, pp. 2620–2632, 2011. Rafiee, M. A., Rafiee, J., Wang, Z., Song, H., Yu, Z., and Koratkar, N., “Enhanced Mechanical Properties of Nanocomposites at Low Graphene Content,” American Chemical Society, Vol. 3, No. 12, pp. 3884–3890, 2009. Gojny, F. H., Wichmann, M. H. G., Kopke, U., Fiedler, B., and Schulte, K., “Carbon Nanotube-Reinforced Epoxy-Composites: Enhanced Stiffness and Fracture Toughness at Low Nanotube Content,” Composites Science and Technology, Vol. 64, pp. 2363–2371, 2004. Gojny, F. H., Wichmann, M. H. G., Fiedler, B., and Schulte, K., “Influence of Different Carbon Nanotubes on the Mechanical Properties of Epoxy Matrix Composites – A comparative study,” Composites Science and Technology, Vol. 65, pp. 2300–2313, 2005. Ganguli, S., Bhuyan, M., Allie, L., and Aglan, H., “Effect of Multi-Walled Carbon Nanotube Reinforcement on the Fracture Behavior of a Tetra-Functional Epoxy,” Journal of Materials Science, Vol. 40, pp. 3593 – 3595, 2005. Ashrafi, B., Guan, J., Mirjalili, V., Zhang, Y., Chun, L., Hubert, P., Simard, B., Kingston, C. T., Bourne, O., and Johnston, A., “Enhancement of Mechanical Performance of Epoxy/Carbon Fiber Laminate Composites Using Single-Walled Carbon Nanotubes,” Composites Science and Technology, Vol. 71, pp. 1569–1578, 2011. Thostenson, E. T., and Chou, T., “Processing-Structure-Multi-Functional Property Relationship in Carbon Nanotube/Epoxy Composites”, Carbon, Vol. 44, pp. 3022–3029, 2006. 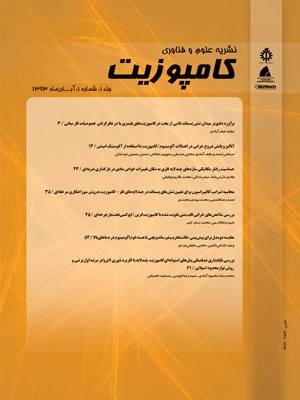 Shadlou, S., “Fracture Behavior of Epoxy-Based Nanocomposites Reinforced by MWCNTs,” Ph.D. thesis, Iran University of Science and Technology, Iran, 2011. Standard Test Methods for Plane-Strain Fracture Toughness and Strain Energy Release Rate of Plastic Materials, Annual Book of ASTM Standards, D 5045, 1999. Kinloch, A. J., and Young R. J., “Fracture Behaviour of Polymers,” First edition, Elsevier Science Publishers Ltd, 1983. Eshelby, J. D., “Elastic inclusions and inhomogeneities,” Progress in Solid Mechanics, Vol. 2, No. 1, pp. 89-140, 1961. Hill, R., “A Self-Consistent Mechanics of Composite Materials,” Journal of Mechanics and Physics of Solids, Vol. 13, pp. 213–222, 1965. Saouma, V. E., Lecture Notes in: Fracture mechanics, University of Colorado, 80309-800428. Liu, Y. J., and Chen, X. L., “Evaluations of the Effective Material Properties of Carbon Nanotube-Based Composites Using a Nanoscale Representative Volume Element,” Mechanics of Materials, Vol. 35, pp. 69–81, 2003. Chen X. L., and Liu Y. J., “Square Representative Volume Elements for Evaluating the Effective Material Properties of Carbon Nanotube-Based Composites,” Computational Materials Science, Vol. 29, pp. 1–11, 2004. Sadd, M. H., Elasticity Theory, Applications, and Numerics, Elsevier Butterworth–Heinemann, USA, 2005. Thostenson, E. T., and Chou, T. W., “On the Elastic Properties of Carbon Nanotube-Based Composites: Modelling and Characterization,” J. Phys. D: Appl. Phys., Vol. 36, pp. 573–582, 2003. McCarthy, B., Coleman, J. N., Czerw, R., Dalton, A. B., Maiti, A., and Drury, A., “A Microscopic and Spectroscopic Study of Interactions between Carbon Nanotubes and a Conjugated Polymer”, J. Phys. Chem. B, Vol. 106, pp. 2210–2216, 2002. Lourie, O., and Wagner, H. D., “Evidence of Stress Transfer and Formation of Fracture Clusters in Carbon Nanotube Based Composites,” Composite science and technology, Vol. 59, pp. 975–977, 1999. Jin, L., Bower, C., and Zhou, O., “Alignment of Carbon Nanotubes in a Polymer Matrix by Mechanical Stretching,” Applied Physics Letters, Vol. 73, No. 9, pp. 1197–9, 1998. Frankland, S. J. V., and Harik, V. M., "Analysis of Carbon Nanotube Pull-out from a Polymer Matrix," Surface Science, Vol. 525, pp. 103–108, 2003. Herasati, S., Zhang, L.C., and Ruan, H.H., “A New Method for Characterizing the Interphase Regions of Carbon Nanotube Composites,” International Journal of Solids and Structures, Vol. 51, pp. 1781–1791, 2014. Montazeri, A., and Naghdabadi, R., “Investigation of the Interphase Effects on the Mechanical Behavior of Carbon Nanotube Polymer Composites by Multiscale Modeling”, Journal of Applied Polymer Science, Vol. 117, pp. 361–367, 2010. Seidel, G. D., and Lagoudas, D. C., “Micromechanical Analysis of the Effective Elastic Properties of Carbon Nanotube Reinforced Composites,” Mechanics of Materials, Vol. 38, pp. 884–907, 2006. Saber-Samandari, S., and Afaghi-Khatibi, A., “The Effect of Interphase on the Elastic Modulus of Polymer Based Nanocomposites,” Key Eng. Mater, Vol. 312, pp. 199-204, 2006. Naghdabadi, R., and Hosseini Kordkheili, S., “A Finite Element Formulation for Analysis of Functionally Graded Plates and Shells,” A. Arch Appl Mech, Vol. 74, pp. 375-386, 2005. Hu, N., Fukunaga, H., Lu C., Kameyama, M., and Yan B., “Prediction of Elastic Properties of Carbon Nanotube Reinforced Composites,” Proc. Roy. Soc. A. Math. Phys. Eng. Sci., Vol. 461, pp. 1685-1710, 2005. Palaci, I., Fedrigo, S., Brune, H., Klinke, C., Chen M., and Riedo, E., “Radial Elasticity of Multiwalled Carbon Nanotubes, Physical Review Letters,” Vol. 94, 175502, 2005. Hollertz, R., Chatterjee, S., Gutmann, H., Geiger, T., Nuesch, F. A., and Chu, B. T. T., “Improvement of Toughness and Electrical Properties of Epoxy Composites with Carbon Nanotubes Prepared by Industrially Relevant Processes,” Nanotechnology, Vol. 22, No. 12, pp. 5702-9, 2011.